Dee Dunsford (nee Clarke), Algonquin Provincial Park, Interior Group Leader and Park Warden, passed away on Friday January 26, 2001 in an accident in Algonquin. She was the passenger in a large, tracked trail groomer that broke through the ice on Clarke Lake near the East Gate of Algonquin Park, while packing an aircraft landing strip. The machine broke through the ice in 12 metres of water, and about 150 metres from the docks. Park mechanic Glen Yanke barely escaped with his own life after returning to the water attempting reach Dee. Many staff rushed to the scene but were unable to recover her. OPP divers began the seach for Dee Saturday morning and continued all day in vain. They recovered her body late Sunday morning. Dee is survived by her husband Steven, and they had been married four years earlier in Algonquin Park. 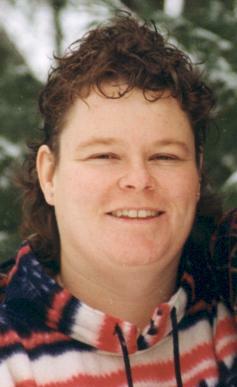 She was an active volunteer in the nearby community of Whitney, where they both resided. She spent her entire career of fifteen years employed by the Ministry of Natural Resources (MNR), and was a person that was passionate about the park. She was an avid outdoorswoman and always conducted herself in a professional manner, reflective of her respect and admiration of the natural and cultural values that Algonquin Park symbolises to many Canadians. Born in Toronto in 1962, and trained as a Forest Technician in the early 1980s, Dee’s love of the environment began at an early age. As a student she was a Junior Forest Ranger in northern Ontario in the MNR District of Chapleau. It was during her tenure in northern Ontario that Dee aspired to a career in forest management with the MNR, later to be fulfilled as a Resource Technician responsible for one of Ontario’s premier parks, Algonquin. As Dee’s career evolved in Algonquin, her personal demeanor and commitment to the park was a source of inspiration to both her colleagues and visitors. Dee became a Park Warden in 1993, and three years later, became an Interior Group Leader, responsible for maintaining Algonquin’s renowned backcountry experiences. Visitors to Algonquin that had the misfortune of becoming lost or injured on their camping journeys, were the beneficiaries of Dee’s knowledge of the Algonquin landscape and expertise in search and rescue techniques. 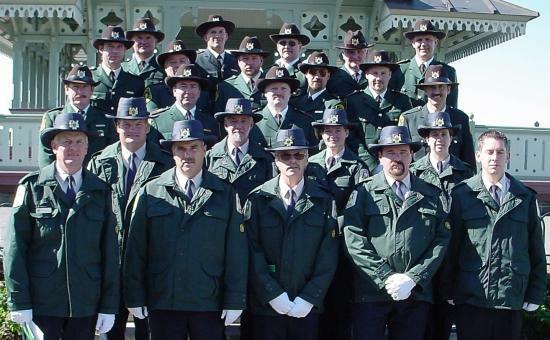 A memorial service was held at the Algonquin Park Visitor Centre on February 1, 2001 and along with family, over 400 friends, co-workers and fellow officers attended. On September 29, 2001 Dee was honoured at the Canadian Police and Peace Officer Memorial held at Parliament Hill, Ottawa. Her name was engraved on the stone at the Memorial Pavillion. Absent from the group shot due to official ceremonial duties are Algonquin Park Superintendent John E. Winters (presented headress), and Conservation Officer Arthur Gamble (read tribute).